Comments for Does habit dancing narrow our creation? I do understand your question and I also understand why you ask yourself something like this. I believe that the habit of repetitively dancing with somebody or dancing one same dancing style may indeed create some creative limitations. But that will only happen if you are not conscious of it. Also, I know that many dancers need practice to be able to move in new ways, so other than being conscious of the moving habits you have, it’s also important to practice to move differently. 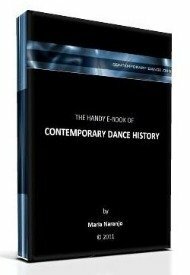 That’s why contemporary dance is considered as an essential educating technique for dancers, because it forces us to go out of our ‘comfort zones’. As a theme for choreography, I believe your idea is completely valid. The way you plan to do it will also be a good exercise for your self. If I were you, I would not bother for its coherence or final meaning for the audience. Dance themes are just starting points for creation but the final choreography is always a very abstract entity that is interpreted by the audience in different ways. What matters the most is how you experience the whole thing, including the idea and the process of creating the choreography. When you’re finished, just try to give an external look at your piece and adjust according to your intuition and feelings.